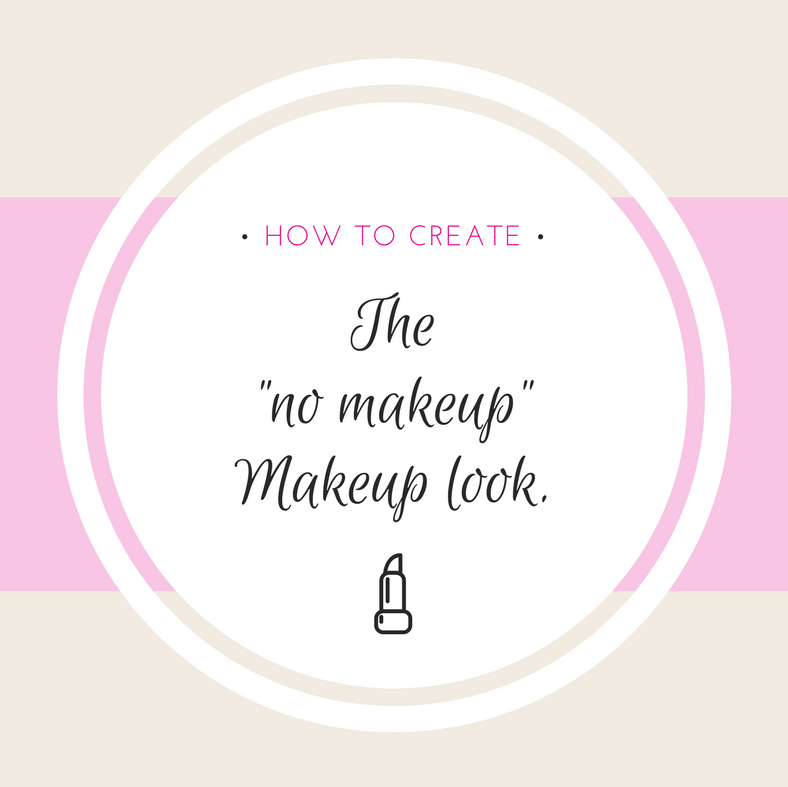 The “no makeup” makeup look is a quick and easy low maintenance beauty routine. I love this look on myself when I don’t feel like wearing a full face of makeup but I don’t want to be completely natural. 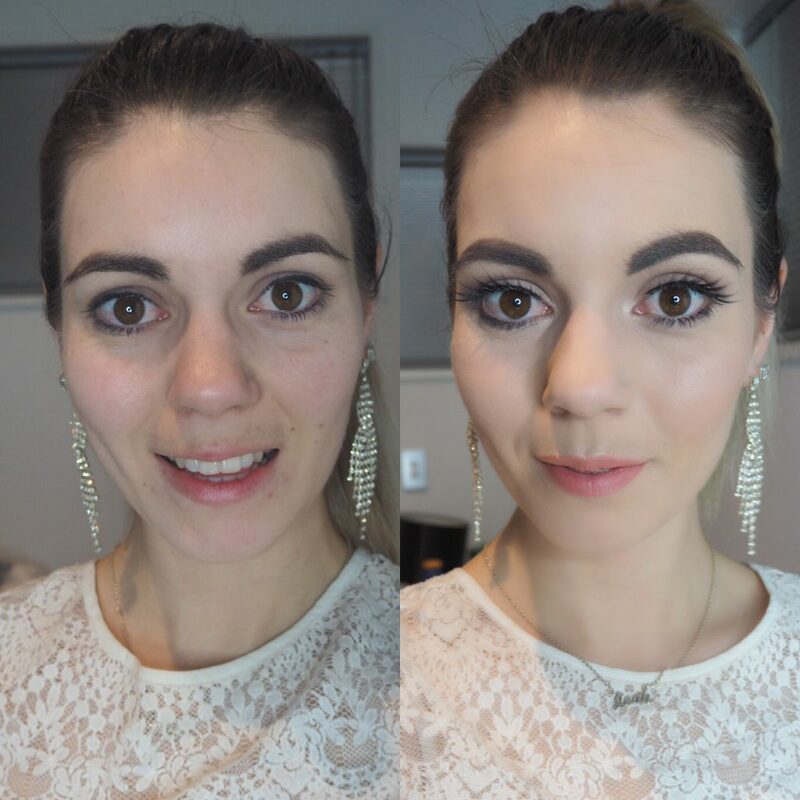 This natural makeup look is perfect for everyday wear and for clients who don’t normally wear any makeup, but want to have a natural look for their big day or event. For this look I like to keep the foundation as natural as possible – you can see I have evened out the skin tone by reducing the redness and covering any blemishes. I use a light coverage foundation then add concealer to areas I feel need more coverage. To make the eyes pop and brighten the whole complexion I used a concealer one shade lighter than my foundation colour, apply this directly under the eyes and buff it into the skin. To create this eye look use a skin tone coloured eyeshadow all over the eye lid from the lash line to the brow bone, then add a mid tone brown eyeshadow and buff this into the crease also known as the eye socket – this gives a soft affect to make your eyes appear bigger. With the same mid tone brown eyeshadow buff it into the lower lash line on the very outer corners, this shapes your eyes and makes them appear wider. After you have finished the eyeshadow apply a few coats of your favourite mascara to make your eyes pop. An eye look is never complete without shaping the brows, brows are an important feature as they create definition and shape the face. For this look you can use a brow gel brushed through your brows, or I personally like to add definition to my brows so I have shaped them by following my natural brow shape and adding definition to areas that need filling in using a brow powder. To make this look a very soft subtle glamorous look I have added a hint of colour to my cheeks using bronzer on the hollows of my cheek bones and then adding blusher directly on the apples of the cheeks, I then add a hint of highlighter to the top of the cheek bones, cupids bow, brow bone and the inner tear duct, this gives a healthy glow to the skin. To complete the look use a lipstick shade one to two shades darker than your natural lip colour.